Anyone with a mortgage would like to be able to pay it all off. It would mean less interest to pay in future, you'll become a true homeowner faster, and you can put more of your income towards things you enjoy, or perhaps start a pension, or a trust fund for your children. Is it worth trying to pay off this mega-debt early? Or is it OK to spend your extra cash on something else? This article looks at the reasons why paying off early might not be the best use of your cash. Budgeting software like Money Dashboard allows you to get a holistic view of all income and spending across bank accounts, building society accounts, and credit cards. Sign up or log in to your dashboard and on the ‘Past Activity' page select the ‘Income : Spend' tab to see a bar graph comparing your income and spend each month. If you find that you are regularly earning a significant amount more than you are spending then you have spare cash that can be used to pay off your mortgage faster. If you are spending more than you are earning, then you need to focus on ways to save money. Debts that have a higher interest rate than your mortgage should be paid off first. Store cards, credit cards, and unsecured loans including pay day loans are often expensive debts, and if you pay off your mortgage instead you'll be charged more interest overall. 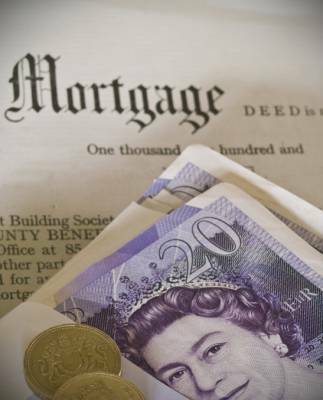 If you have money to pay off your mortgage early, you might want to think about saving money in a pension scheme instead. Pensions are a tax-efficient way to save as the UK government tops up pension contributions with tax relief. If your pension scheme is through your employer, they may contribute too, and you can begin building your retirement pot. Do you have financial dependants, such as a family that relies on your income? Will they have enough income to get by if you were to die unexpectedly? Paying off your home would be nice but make sure your family are protected first. It is rare to find a savings account that pays more interest than your mortgage, but it's worth looking into. Remember to take into account that interest on your savings account is subject to tax, unless it is an ISA or National Savings & Investments account. The savings account may even come with additional incentives, so try to work out their monetary value to you and take this into account when making your decision. Some mortgages will not allow you to pay early without incurring additional charges. Depending on the fee amount and your financial situation, it may be cheaper to pay these fees than to pay the basic charge and get charged more in interest. Check the terms and conditions of your mortgage, and calculate whether it is worth it. It's advisable to keep enough money aside to keep you going for three months in case you have any unexpected expenses or changes to your lifestyle. If you're still confident that paying off your mortgage early is the best choice, do so as soon as possible to enjoy the savings later on.